Published in 2008, Spark: The Revolutionary New Science of Exercise and the Brain remains a much-sought-out book by the fitness community and anyone looking to increase their understanding of just how good for you exercise really is. In the book, Dr. John J. Ratey examines the complex relationship between mind and body and shows readers how exercise isn’t just about losing weight and building muscle. Many of us think of the mind and the body as two related but ultimately separate things. We largely discuss psychiatry as a field separate from general medicine and tend to think of exercise in the context of physical fitness – not mental wellbeing. 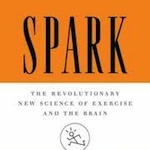 In Spark: The Revolutionary New Science of Exercise and the Brain, Dr. John J. Ratey turns this idea onto its proverbial head. Within the pages of the book, Dr. Ratey looks at multiple studies showing that exercise actually has a hugely significant effect on the brain.